"Professor, I hear your wife has had twins. 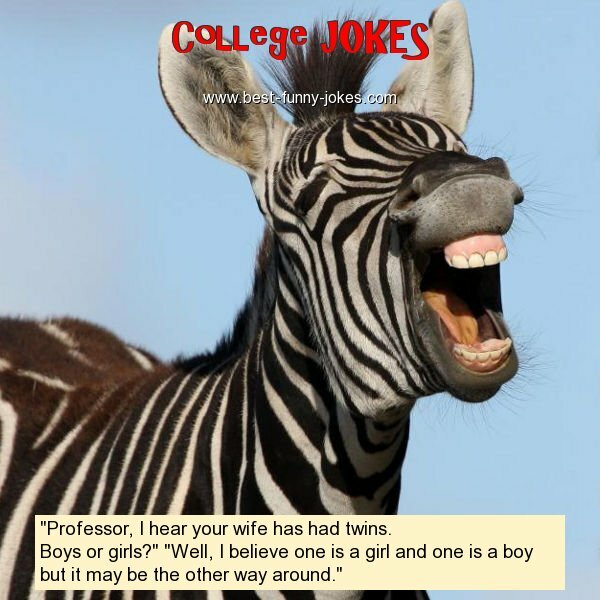 Boys or girls?" "Well, I believe one is a girl and one is a boy but it may be the other way around."